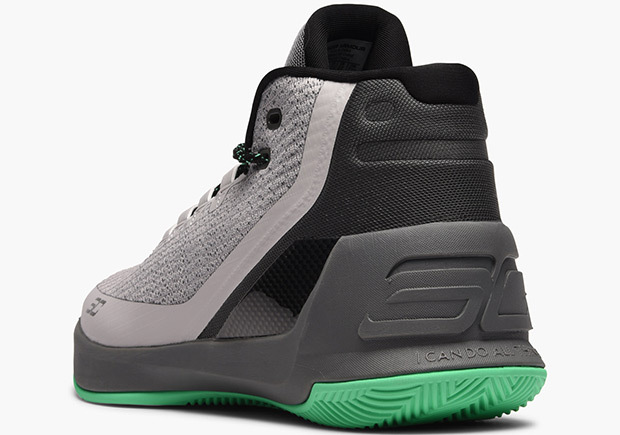 Steph’s basketball IQ is obviously high, and that’s the inspiration for this “Grey Matter” colorway of the Under Armour Curry 3. 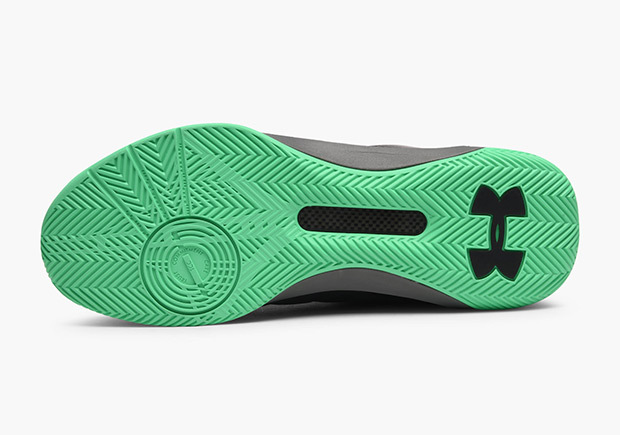 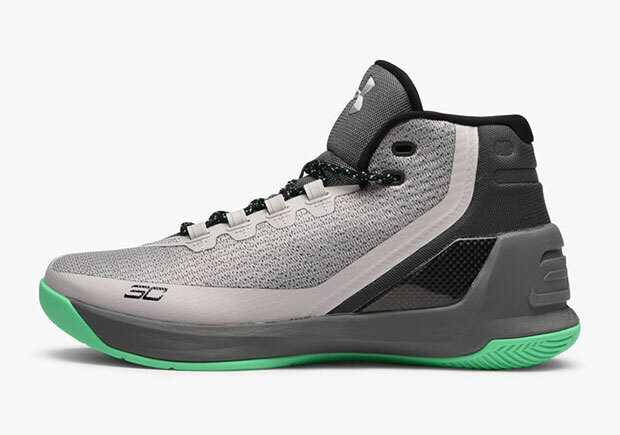 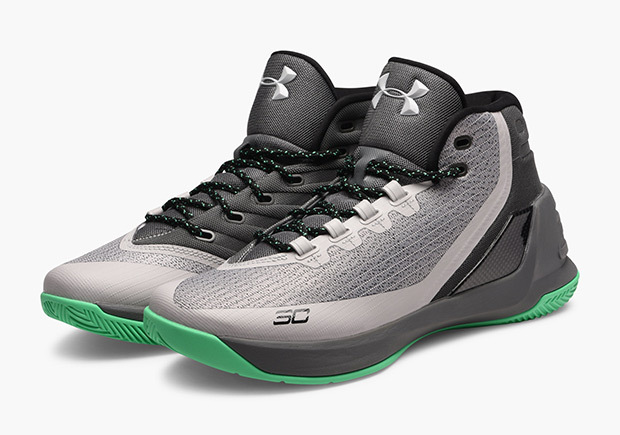 The clean look for the on-court performance shoe features two tones of dark and light grey across the mesh upper with black accents and pops of bright green to finish them off. 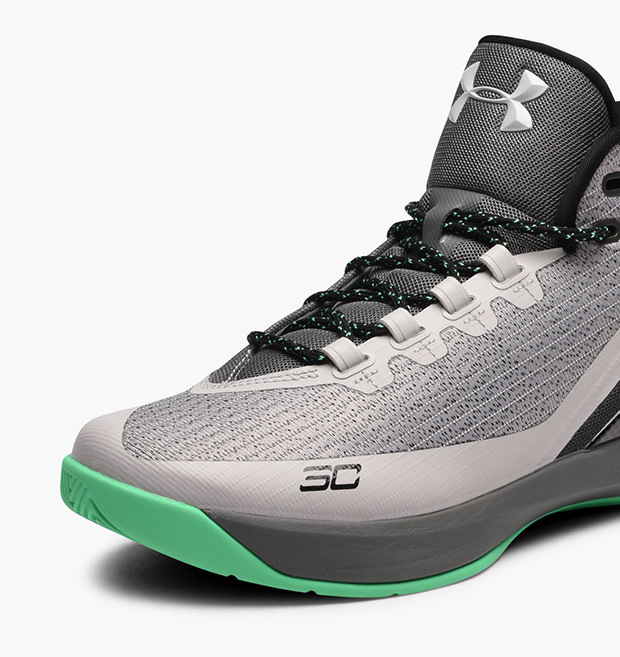 The heady colorway is arriving now at select retailers worldwide, including Caliroots.